Graham writes books in his spare time and travels around the country performing at festivals and visiting schools. He has appeared on Radio 5 live, local BBC radio and the ITN News at 10 and has a growing following. His books are fun and educational. Time Travelling Toby is an innovative series of children’s books that teaches history to children in a fun and exciting way. The school workshop is delivered by the author Graham Jones who loves to teach history through telling his stories. Antique memorabilia from the era and live demonstrations of artefacts such as muskets, air raid sirens and telescopes. There are three workshops topics available, all accompanies by the relevant book. 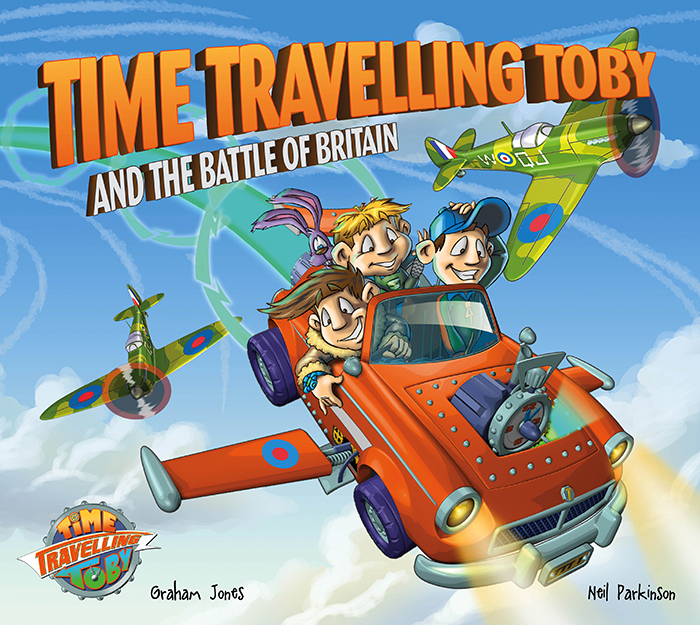 Time Travelling Toby and The Battle of Britain – set in 1940 for the topic World War 2. Time Travelling Toby and The Battle of Trafalgar – set in 1805 for the topic Napoleonic Wars. Graham can deliver the workshop as part of an assembly or separately for up to 250 children. He would then set the children a topic related literacy and craft task (i.e. tell me where you would send Toby and why, followed making a time machine kit.) This would be followed by class by class visits to have smaller group discussions and feedback sessions. The workshop and follow up sessions are free. Resources are 30p per child and travel expenses are charged at £50 within 100 miles of Cheltenham and £75 outside 100 miles of Cheltenham. Usually Graham would ask that a letter is distributed to the children one week before the event advertising his books to help him cover his costs. “We couldn't quite believe that this was free!” Most authors charge and the quality of the presentation and the books is exceptional! Our chidren especially enjoyed the demonstration of the World War 2 air raid siren!" We saw you at Whychwood Festival and you were infectious! My little boy sat through 2 story tellings of the Battle of Trafalgar! I was wondering if you do school visits you'd be great! 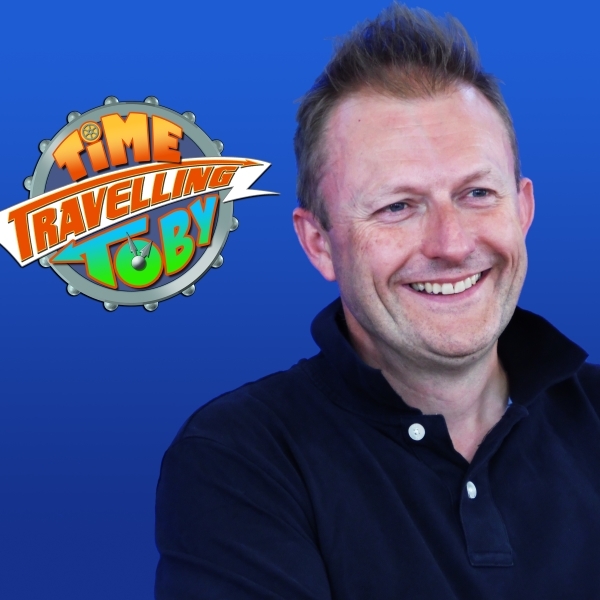 Time Travelling Toby is a series of fun and colourful picture books that follow the adventures of Toby and his magical time machine as they travel back in time to visit key historical events. In the first book in the series, The Battle of Britain, Toby and his brothers introduce you to his family and his secret Time Machine. They journey back to 1940 and help the RAF defeat the Luftwaffe in an exciting adventure whilst learning about the Battle of Britain, 'Stuka' bombers, Spitfires and Fighter command. Time Travelling Toby is a series of fun and colourful picture books that follow the adventures of Toby and his magical time machine as they travel back in time to visit key historical events. 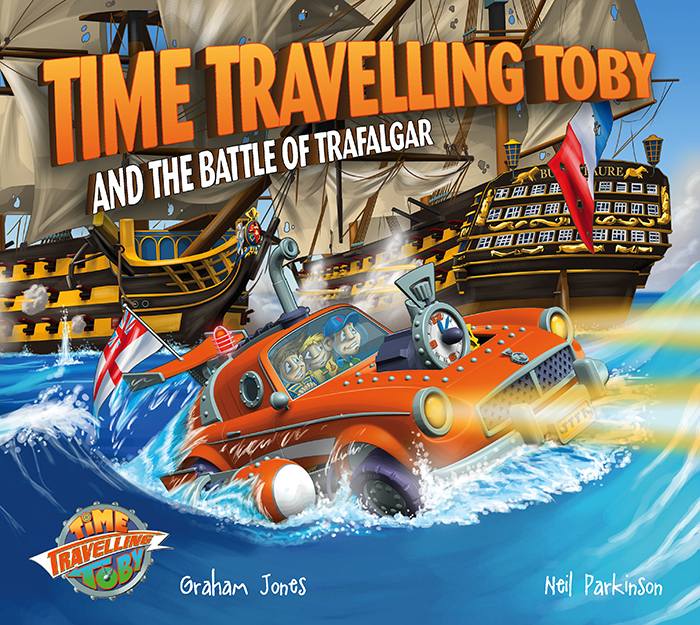 In Toby's second adventure, The Battle of Trafalgar, Toby and his brothers journey back in time to 1805 and help Admiral Nelson defeat the combined fleet of the French and Spanish in an exciting adventure whilst learning about the Battle Of Trafalgar, HMS Victory, Popham flag signals and Admiral Villeneuve. Time Travelling Toby is a series of fun and colourful picture books that follow the adventures of Toby and his magical time machine as they travel back in time to visit key historical events. 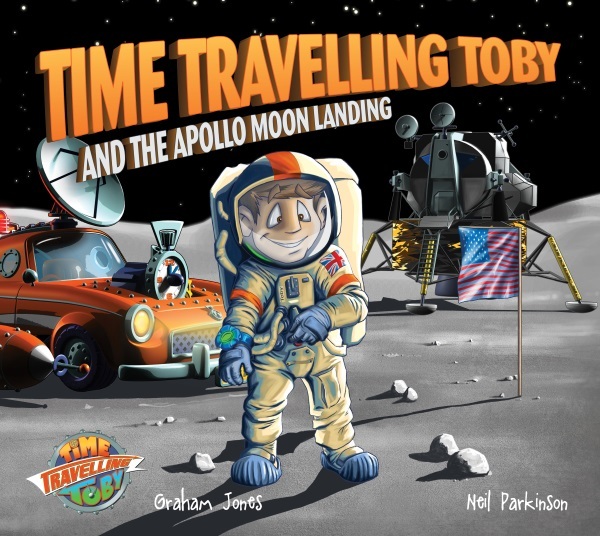 Toby's latest adventure, The Apollo Moon Landing, puts a tongue-in-cheek spin on historical events as Toby and his brothers blast off to the moon to help the Americans win the space race! The book was launched on World Space Day on 3rd October with special guest, Maggie Lieu, a PhD student in Astrophysics who has signed up for a one-way ticket to Mars with the Mars One project.